Catherine, Duchess of Cambridge and her family have been the inspiration for the latest watch from Delance. The Swiss company celebrates its twentieth anniversary this year, and so their founder and designer Giselle Rufer has come up with a beautiful and clever design which reflects the birth of the two Royal children; George and Charlotte. The blue mother-of-pearl dial of the watch sits within a swirling stainless steel mount; two small blue sapphires are placed on the dial to represent the times when each of the Royal children were born 4:24pm and 8:34am. At the bottom of the dial is a larger blue sapphire encased in a tighter swirl, to reflect the love between The Duke and Duchess of Cambridge. The couple have been married for five years. 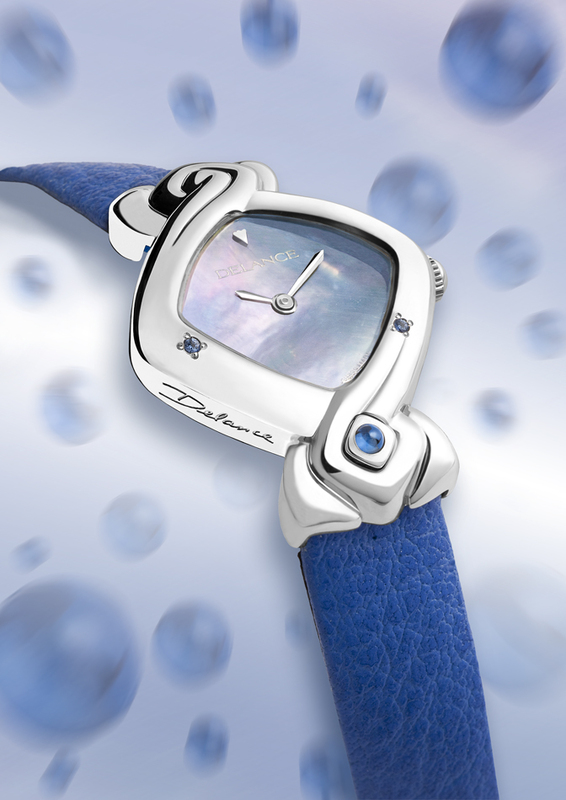 Owners of the Delance piece can choose either a stainless steel bracelet to match the mount, or a blue leather strap to reflect the sapphires contained within the mount. Similarly, it is available with either a quartz or wind-up movement, and for those owners who wish to dive from their yachts, it is guaranteed up to depths of 30m. A little research shows that similar designs on the site retail for 2940 Swiss Franc, roughly $2980 or £2270…I would certainly love to own this watch, would you?